Exactly as it sounds. 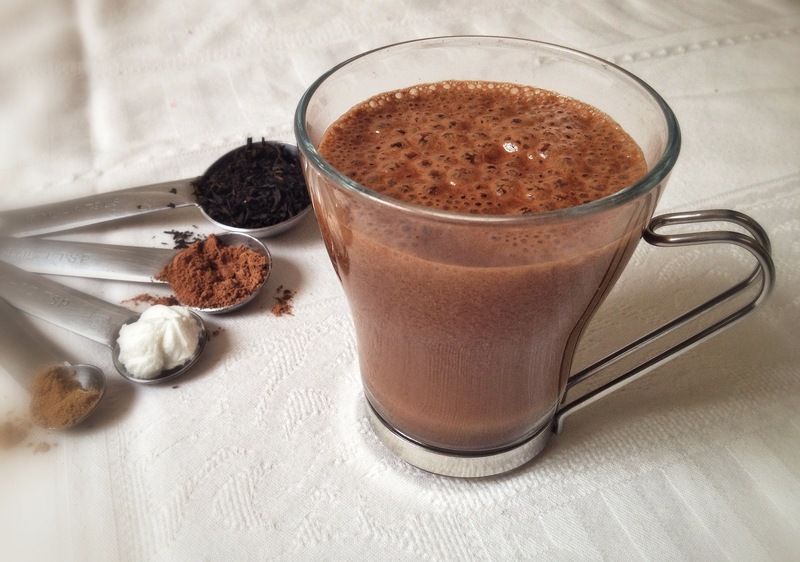 This mocha is rich and creamy and delicious. I love mocha’s. I am not a regular coffee drinker, I definitely enjoy a cup every now and then and if I’m wanting a special treat, I have a mocha. But on a daily basis, I am a tea girl. Black, herbal, dried leaves, fresh herbs, flowery or bitter. I don’t discriminate tea. And while I drink so much of it, it never occurred to me to make a mocha with it. Until now. And I am so happy I did!! This is taking my tea drinking experience to a whole new level! pour in a cup and enjoy warm! Wow this sounds so good! I will definitely be trying this soon! Ok, this sounds really interesting. I do like a good coffee mocha so may give this a try.